Making a website with WordPress is not a difficult task and there are quite a lot of people interested. 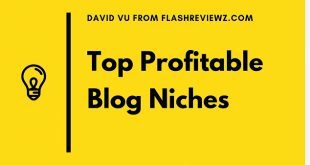 During the development of this blog, I realized a lot of readers of flashreviewz are needing to make a website to make money. Or to do business, make shop, make news site, service, … Anything. For example Affiliate marketing is a way for me to make money. In this form, making website is a “must have” skill. Website is not only profitable for me, it also gives me many other skills. 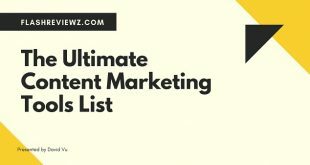 In the present time, there are many forms of making money online that if you know how to make a website, you will have a huge advantage. Even if you want to do non-profit things like blogging, website photo, diary, .. then you also have to build a blog (A form of website). Is it hard to make a website? Must hire someone to do website? The first time I learned how to make a website, I asked the same questions, and also find answers online. Maybe now you do not know how to make a website but I assure you: Making a website with WordPress is easier than you think. If you take some time to learn, you can do it yourself. But why many people do not know coding that they can still make a website? Since the WordPress platform was born and many people know creating a wordpress website is very easy. You can do 100% without anyone else helping designing. Unless you want to make a professional website with lots of specialized features, and coding as you want, then you should hire. But if you want to do so, then the cost will be very high. Why you should make a website yourself? Shared hosting or VPS or Dedicated server: Which should you choose? Step 2: Connect the domain – hosting together. Making your own website yourself helps you to take full advantage of the website features for your work. You do not want every time you must make any changes or add any function, they have to call the design team and then they do not fix immediately for you.. Or they will only fix it if you spend more money. 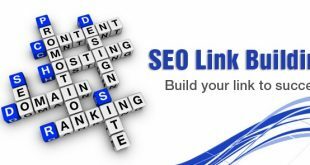 Many other features of the website support the marketing work well that you will not know if you do not do it yourself. If you hire a designer, the high probability is that they only follow the original demo, and do not advise you on which tools to attach and how to use. 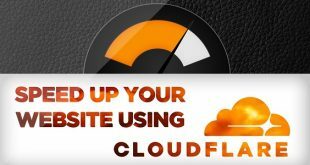 So you will not be able to maximize the power of the website. Especially those who make money online (like me) are required to know the website creation itself. In addition, if you make a website yourself, you only need to spend a small initial cost. If you hire a designer, in the long run you lose a lot of money. In case you do not know anything, the designer will tell you to use their hosting. You have to pay by the year and it is quite expensive, several hundred dollars a year… While you can buy separately for several dollars a year. There are a number of tutorials available for WordPress websites that range from a few dozen to hundreds of dollars. They promise you will know how to make a website after learning. The truth is that the knowledge or guidance on wordpress you can find on the internet without charge. You see, there are many reasons you have to know how to make a website, which will be good for you but no one else. Free traffic: Navigate visitors through their search on Google. Paid traffic: Navigate the customer from the ad. Whatever the method, the benefits of the website is enormous & inevitable. If you do well, the value of your website will increase day by day. After this, for any reason you do not want to do anymore, you can resell the website at high prices. There are many nichesite or authority site makers who sell one site a few thousand to tens of thousands of USD. For example on Flippa (a site specializing in website sales, domain name), any time there are expensive website for sale and there are always many people to bid for. Websites worth millions of dollars are not uncommon. And I repeat one thing “make a website extremely easy”. You will start by exploring the first definitions soon. Hosting: This is the place to store all the data for your website. If your website is a house then hosting is the land. You will have to buy hosting. There are also free hosting but it is very limited and runs slow, unstable and should not be used. Initially you only need to understand the 3 concepts above. Since you are new, you should not acquire new knowledge at the same time. Later on, if you want to know more about the standard definition of each concept, you can go to google for more. First, if you want to make a website then you have to invest in hosting to optimize and professionalize your work process, as well as give you full control over your website. Dedicated Server: It’s a physical server and you have full control over the server. The rent is expensive and difficult to use, not suitable for newbies. Virtual Private Server (VPS): It is also a private server but is a virtual server generated by the physical server. You still have full access to this virtual server, but it’s also hard to use with newbies, only when you reach the mid-level. In conclusion, new users should use shared hosting. Once you are proficient and have great results then switch to a VPS or dedicated sever later. Okay, so you’ve got all the basics, I’m going to start going over the main section that guides you to make a WordPress website from A-Z. There are hundreds of thousands of shared hosting providers, however not all vendors are reputable and provide quality service, stable speed, good support. And to newcomers, it’s a reasonable price. And for newbies, one of the most interesting things is the reasonable price. Hosting costs can be pretty cheap, about a few tens of dollars for a year. And the hosting investment is absolutely right, because from the beginning, you can not compete with other competitors when they choose to pay and you choose free, so it is not good at all. Buying domain is much simpler. You only need to buy hosting once for a long-term use. The number of domains to buy is based on the number of websites you build. Domain is also quite cheap, sometimes you can get very cheap discount code. Basically, connecting domain and hosting will go through a number of operations, but in general this is pretty straightforward. Automatic installation: Almost every hosting now has the option to automatically install WordPress. Manual installation: You can also manually install WordPress using Filezilla FTP or similar software. 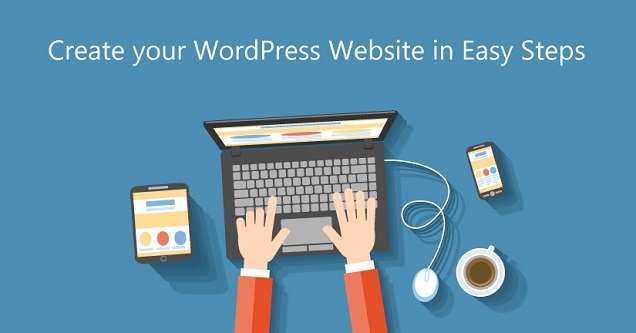 After you have completed the installation of wordpress, you can see your website has been running and basically you have created a website, you can create hundreds of websites by the same. Everything will become simpler as you follow my steps. You should not worry, because of the steps above and next you almost have support tools. Your site is built on open source WordPress, so there are many themes created by third parties. WordPress itself also has a free and paid theme store that you can choose to fit your site’s purpose. For different purposes you have to choose the right theme, and the theme providers can meet 100% of your needs. Especially if you are a coder, you can learn to make WordPress theme. Make it for others or sell on theme markets. For example, smartpassiveincome blog of Pat Flynn is using Custom design theme. By help you install the theme for your website, I wrote a separate article for you to easily understand, please read it right here. Okay, after finishing the theme, try to make your website look good. Next comes the installation of some popular plugins. WordPress Plugins are tools that have separate features, which the WordPress source code will not integrate. Just like themes, the WordPress Plugin has two types of paid and free. But with a new website, using the free stuff is enough (Both the theme and the plugin). Those contents will not be included in this tutorial, which I will update gradually in the coming time. Do not forget to return to my blog! Good luck! If you encounter any difficulties during the practice, please comment below, I will reply 24 hours.